Divorce law is not a “one size fits all” area of practice. Every divorce will have certain common elements, but each is unique. We understand that, and we also understand that going through a divorce is a time of upheaval, stress and emotional duress for most of our clients. Bearing that in mind, we strive to be sensitive to the emotional components of these types of cases, while also leading the client through the practical aspects of such matters. There are two kinds of divorce–contested and uncontested. When a divorce is in a “contested” status it does not mean that one of the parties does not want a divorce, although that is certainly sometimes the case. It means that the parties have not agreed upon the settlement of their matter. An “uncontested” divorce is one in which the parties have already agreed to most or all areas of the division of property, debt, and any issues regarding child visitation. Tennessee is a Parenting Plan state. We assist our clients in working together, when possible, to work out an agreed Parenting Plan that will hold the best interests of their children at heart. Every aspect of visitation is addressed, and each Parenting Plan tailor made to fit a client’s particular situation. Regardless of your particular set of circumstances, rest assured that our firm will endeavor to guide you, provide you with helpful information, and ensure that your case is handled in a timely, considerate and a “drama-free” manner. There are two kinds of divorce – contested and uncontested. Contested divorce doesn’t mean that someone doesn’t want to get divorce, even if that is the case. When a divorce is in a “contested” status it means that the parties have not agreed upon the settlement of the matters regarding issues such as division of property, debt and parenting time and responsibilities. This type of divorce will require more detailed paperwork and negotiation than an uncontested divorce. Contact us today and speak with a compassionate and reliable divorce lawyer who is capable of helping you with the process and keep you abreast of all your options. Uncontested, or no-fault divorce is one in which the parties have already agreed to all areas of the conditions. Although less messy than it’s counterpart, legal assistance is still strongly advised, so let us help you navigate all of the intricacies of your rights and responsibilities under the law during this trying time. Military divorces have several different considerations and the attorneys at Lehman Johnson, Attorneys at Law, PLC in Clarksville are fully knowledgeable in this area as well. We understand that military families have unique challenges when going through divorce or separation. When choosing a lawyer, while it’s important to hire an experienced family law attorney, you should also be represented by an attorney who knows the legal and lifestyle of members of the Air Force, Army, Coast Guard, Marines and Navy. If you have children involved in your case, the State of Tennessee requires that parents with children under the age of 18 create a Parenting Plan that will outline where the children will reside, the amount of days and how much the parents must contribute to child support. This plan includes details about holidays and school breaks and should alleviate uncertainty about the welfare of your children while in the care of either parent. We assist our clients in working together, when possible, to negotiate an agreed Parenting Plan that will hold the best interests of their children at heart. Call us to set up your initial consultation today. Post-Divorce: Frequently our clients require further representation following the finalization of their divorce. There can arise issues of contempt, wherein one or both parties are not living up to the orders entered in the Final Decree or the requirement of changes to a Parenting Plan as the children age out or one of the parents’ circumstances change. Sometimes it is something as simple as a change in the amount of child support as incomes change. Adoption: There are many kinds of adoptions that take place every day. Step parent, Grandparent, Relative, Independent, Foster Parent, Foreign–another area of practice that is decidedly NOT “one size fits all”! We look forward to working with you as you build your family. Conservatorships: Sometimes a family must make plans to financially oversee or become overall caretakers for a loved one. For instance, those who face the imminent adulthood of disabled children, or who must assist an aging relative as he or she settles into the Golden Years. Within the framework of a conservatorship we are able to assist our clients in making plans for the financial, health, and daily needs of those loved ones. Child Custody, now known and referred to in Tennessee as Primary Residential Parent (PRP) and Alternate Residential Parent (ARP), is all about the child(ren) and what is in the best interest of the child(ren). Every child custody case is unique. 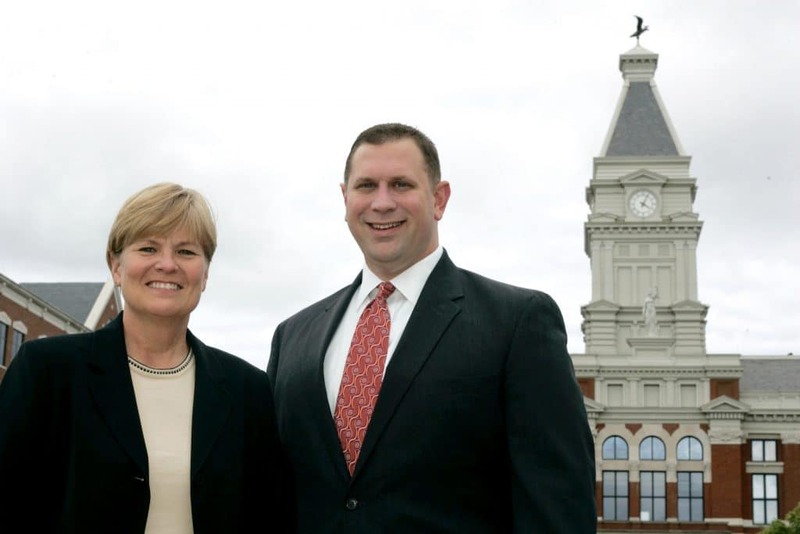 The attorneys at Lehman Johnson law firm in Clarksville are compassionate and committed to working with you to help your family and reduce the level of stress generated by a child custody case. In Tennessee, the courts determine child support using a lengthy list of factors input into the Tennessee Child Support Calculator, including parent’s income, health insurance costs, number of days spent with each parent, daycare costs (work-related), and other children in the household to name just a few. Let us help you navigate all of the intricacies of your rights and responsibilities under the law during this trying time.